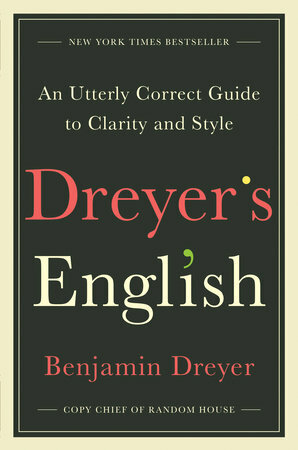 Dreyer’s English: an Utterly Correct Guide to Clarity and Style is one of the funniest books I’ve ever read. It’s been a snowy, icy, chilly, and sometimes gloomy winter here in Chicagoland and I was contemplating hopping on a flight to escape until I opened the pages of Benjamin Dreyer’s magnum opus and without removing my slippers vacationed on every page. This handbook and style guide delivers sage advice for those of us who have an ongoing love affair with the English language while entertaining us by stating the rules in such a fresh and wry manner that we feel both smarter and happier for having read them. It’s also part memoir and the recollections Dreyer shares on working with writers like Richard Russo as Random House’s copy chief make it a page-turner. If my mother were alive, we’d be spending hours on the phone reading to each other from almost every page. Mom, a former English teacher and lover of wry Noël Coward style humor, would have adored the entire book, but I think her favorite sentence might have been in the Peeves and Crotchets chapter regarding "INVITE (AS A NOUN): If your life expectancy is so limited that you don’t have the time to issue an invitation, you might not be up to throwing that party." I can almost hear her chuckling. Having fervently believed that my worn copy of Strunk and White’s Elements of Style, Roget’s Thesaurus, and my Merriam-Webster dictionary are the only volumes I need within reach of my laptop, I’ve had to create additional space for what I’m already calling simply Dreyer’s. I need it there for quick advice and so I can turn to a random page and laugh when my brain is stuck. In the chapter titled “A Little Grammar is a Dangerous Thing,” Dreyer skews the pretentious with: "Q. Is it 'It is I who is late' or It is I who am late'? A. It’s 'I’m late.' Why make things more complicated than they need to be?" His pronouncement on the word data made me spit my iced tea. "DATA: It’s a plural, it’s a singular, it’s a breath mint, it’s a dessert topping. The data supports the consensus that ‘data’ is popularly used as a singular noun, and it’s neither worth fussing over this nor raising the existence of the word 'datum.' Move on already." So, move on already. Move on to your nearest independent bookstore and pick up a copy of Dreyer’s English. While you’re there, grab a few extras to give as graduation gifts this spring. Summing it Up: Dreyer’s English is the best style guide since Strunk & White and it belongs in every home and office. It will make you smarter. It will make you a better writer. It will make you grateful that Benjamin Dreyer is alive. The Last Romantics uses a technique I can’t remember having read previously in the same manner – and I love it. Renowned poet, Fiona Skinner looks back on her childhood with her siblings in the year 2079 when she’s 102 and is questioned about the inspiration for her most famous poem. Fiona was the youngest of four when her father died and her mother took “The Pause,” an extended period in which the children had to raise themselves. The effects on Renee, the responsible eldest child, sweet Caroline, Joe, the athlete and charmer, and Fiona who observed everything with her keen eye reverberate for almost a century in Conklin’s steady hands. When the children are older, the novel closely follows star athlete Joe and his increasing problems, but even when endearing Joe's troubles can't be escaped, it's Fiona's astute observations that carry the book. From Fiona's blog detailing her sexual escapades to the poetry that brings her respect and acclaim, the novel captures Fiona's thoughts with a clever touch with simple yet not simplistic sentences like this one: "If you live long enough and well enough to know love, you will break someone's heart." 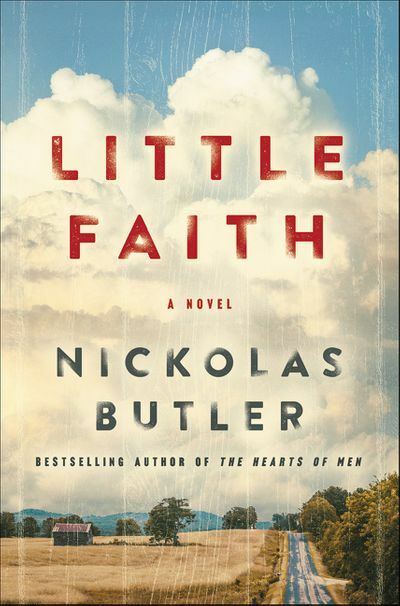 A novel set in the year 2079 is bound to touch on climate change and a changed world and The Last Romantics handles the issues well without belaboring them or turning a delicious narrative into a book in which issues trump story. The 2079 world is the setting for the novel: it isn't its raison d'etre. There are numerous plot twists in this family saga and attempting to name or describe them would diminish them so I'll simply suggest that you read The Last Romantics instead. Some think the novel resembles Ann Patchett's Commonwealth and both brilliantly describe four siblings and their growth, but I think The Last Romantics is more similar to Ian McEwan's Atonement in the ethereal outlook with which the narrator turns to the past to make sense of life. Many readers liked Conklin's 2012 debut novel The House Girl. I was not one of the book's fans so I wasn't sure I wanted to read The Last Romantics. I'm glad I overcame my concerns as Conklin’s growth since The House Girl is phenomenal. Summing it Up: If you like family sagas filled with detours that feature elegant and clever writing, The Last Romantics is a novel you should read. It's also one that begs for discussion and that will have book clubs comparing the characters to their own families. “It is a brave thing to write in the voice of a world-renowned centenarian poet, but damn if Tara Conklin doesn’t pull it off. In fact, all of the luxuriously spun characters in The Last Romantics, entwined via that impossible web we call family, unfold over their many years with the perfect balance of familiarity and wonder that makes turning their pages such a pleasure."